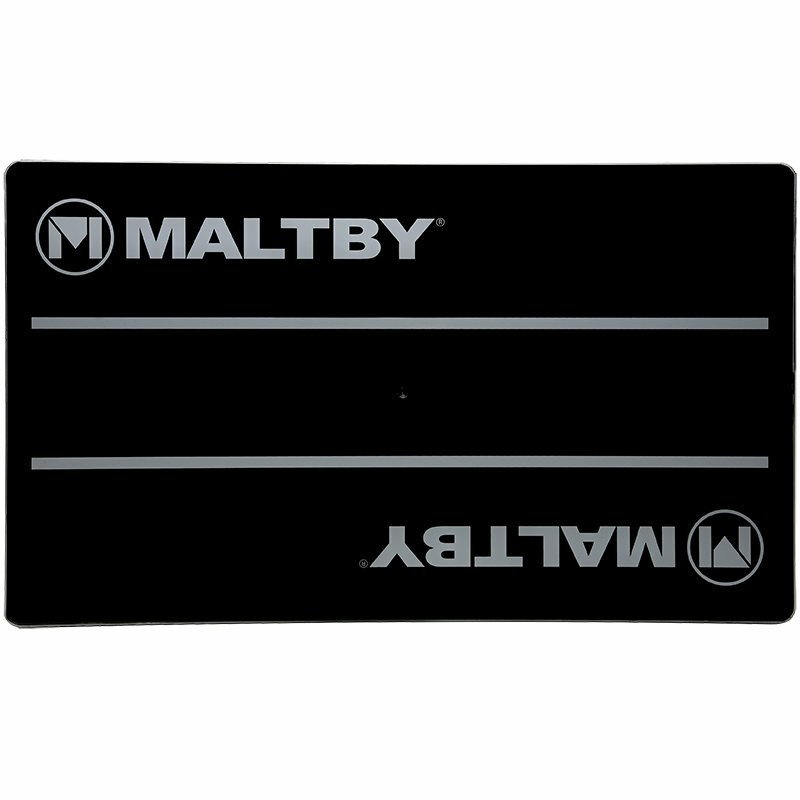 The Maltby Professional Lie Fitting Board is constructed of heavy duty, clear Lexan for strength and durability. The Maltby graphics are brilliantly displayed underneath the board and protected by polycarbonate lamination to ensure the logo and helpful alignment lines will last forever. The oversized dimensions of 14″ wide by 23 3/4″ in length make this the most durable and reliable lie fitting board available. All edges have been machined for safety and the ball position is located at the center of the oversized board to eliminate any chance of an avid golfer striking the edge of the board.